Complete Food Survey 2018: the results are in! Whoohoo! 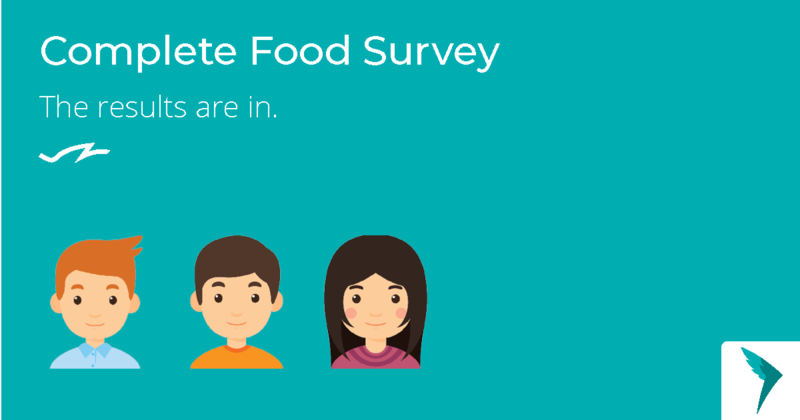 More than 800 awesome people - of whom a lot of Queal users - participated in this year's Complete Foods Survey! Thanks a lot if you were one of them, you are the best! We've been busy analysing the results this past week and have just released the webpage on which you'll find an extensive analysis of the '18 Complete Food Survey. There are quite some interesting results. I myself - for example - was pleasantly surprised by the fact that most complete food users prefer bulk packaging instead of RTD's, a great win for the environment! Please feel free to share your thoughts or point of discussion in this thread. I'm very curious about what you think is the most interesting insight! I have a few thoughts about the survey I want to share. The complete food survey is your opportunity to raise your voice and opinion on the meal replacement market. Fill the survey to have your say. 1) I feel like the delivery is not as good as last year's. Some of the information is not very clear, the graphs seem broken and the colour scheme is not very distinguishable. 2) I hope you guys find time to work on it. 3) I really appreciate the effort and sharing the insight with the customers. I wish there were some other questions. 1) Data is still very biased, and it is hard to draw any strong conclusions. I "blame" other brands not promoting it. 2) It is interesting to see that people still favour powder bulk over RTDs or even more convenient single servings. 3) I guess it is a reflection of the importance the user gives to environmental friendliness and zero waste policies (as well as price issues, likely). I hope there is an opportunity for a larger scale collaboration that will actually draw more respondants with a more varied background. thank you very much for the survey though.